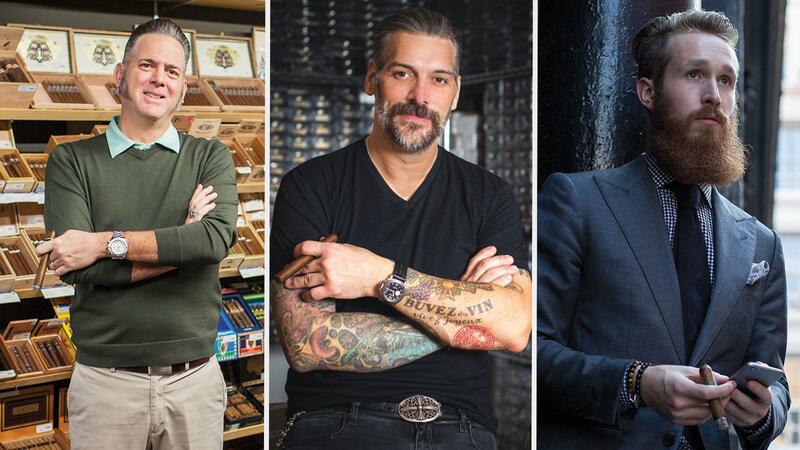 Some of the biggest names in the cigar industry, including Carlos Fuente Jr., Rocky Patel, Jorge Padrón and Pete Johnson, are set to appear at this year’s Big Smoke Las Vegas, the annual celebration of cigars and the good life. In anticipation of the event, we have launched a brand new website outlining the weekend’s seminar schedule, as well as the (growing) list of cigars that will be available for your smoking pleasure during the evening parties. The Big Smoke will take place at the Mirage Hotel and Casino in Las Vegas from November 9 to 11. Whether you’re planning on attending the entire weekend or just coming to an evening party, there are several ticket packages available to accommodate the itinerary of all cigar lovers interested in the event. On Saturday morning, guests who have purchased a seminar package will be treated to cigars and lively discussion with Cigar Aficionado editors and renowned cigarmakers. This year, we are excited to present our Top 3 Cigars of 2017 with none other than Carlos Fuente Jr., Jorge Padrón and José Oliva. These iconic cigarmakers will take the stage and tell the stories behind the cigars that received the highest ratings in Cigar Aficionado’s Top 25 tasting last year, including the Oliva Serie V Belicoso (95 points), Padrón Serie 1926 No. 2 (96 points) and the Cigar Of The Year: Arturo Fuente’s Don Carlos Eye of the Shark (97 points). 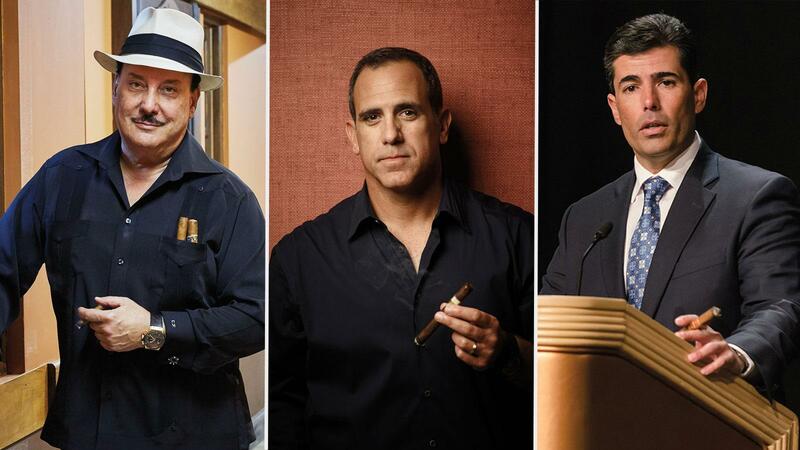 Carlos Fuente Jr. of Arturo Fuente Cigars, Jorge Padrón of Padrón Cigars and José Oliva of Oliva Cigars will present the Top 3 Cigars of 2017 during the Saturday morning seminars. Saturday morning will also feature a presentation on Nicaraguan cigars with some of the country’s top producers: Rocky Patel of Rocky Patel Cigars, Nestor Andrés Plasencia of Plasencia Cigars, and Alejandro Martínez Cuenca of Joya de Nicaragua. This seminar will be followed by a discussion on Cult Cigars with a panel of cigarmakers who make some of the hottest cigars on the market. Cigar Aficionado editors plan to speak with Dion Giolito of Illusione, Pete Johnson of Tatuaje and Kyle Gellis of Warped Cigars. The Saturday seminars will then conclude with a presentation on the state of Cuban cigars with Cigar Aficionado’s David Savona and Gordon Mott, along with Fernando Domínguez, the premium cigar director of Imperial Brands. Guests will then be treated to lunch and cigars presented by industry newcomer Micallef Cigars. The Saturday evening event provides guests another opportunity to celebrate cigars with fellow lovers of the leaf and seek out any cigars you may have missed the night before. On Sunday morning, seminar guests will return to the Mirage ballrooms for a cigar smokers’ breakfast hosted by Nicole Brisson, executive chef of Eataly Las Vegas. Brisson will cook up a delicious breakfast to pair with cigars by Oliva and a Scotch-based breakfast cocktail provided by Dewar’s. The Cult Cigars seminar will feature Dion Giolito of Illusione Cigars, Pete Johnson of Tatuaje Cigars and Kyle Gellis of Warped Cigars. The final two events are perhaps the liveliest of the entire weekend. It starts with our annual Roll Your Own Cigar seminar, where guests will learn about the process of turning bunches of tobacco leaves into handmade cigars and then get firsthand experience rolling a cigar themselves. Michael Giannini, the general manager and creative director of Ventura Cigars, will be on hand to judge your creations and award prizes to some of the best, and most creative, cigars produced. Finally, Cigar Aficionado spirits expert Jack Bettridge will close the seminars with a guided pairing of fine rums and handmade cigars made by Altadis U.S.A., the makers of iconic Montecristo and Romeo y Julieta cigars, as well as many others. If you already have tickets to the event, you have a lot to look forward to in Las Vegas. If you haven’t gotten your tickets yet, don’t miss your chance to get them while you still can. (A limited number of seminar tickets remain.) Visit lasvegasbigsmoke.com and get your ticket today.